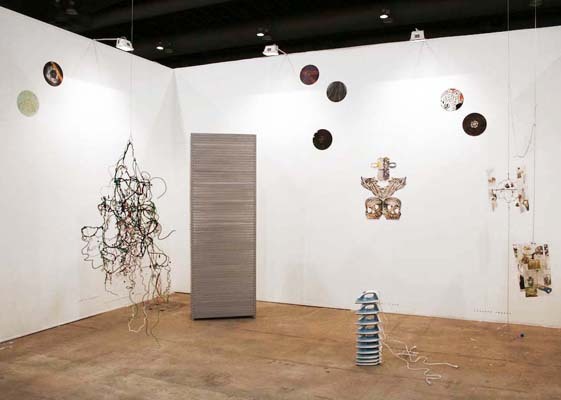 Sofia Taboas, Untitled (cables), 2009. 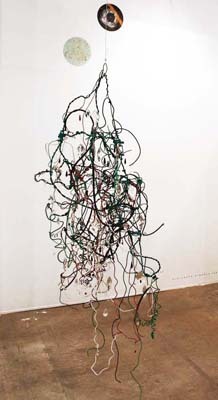 Electric cable, glass and crystal beads, wire, 83 x 31 1/2 x 36 inches. 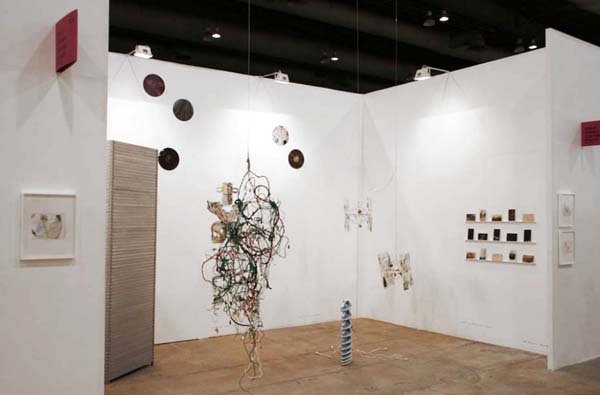 Alejandro Almanza Pereda, An empty vessel makes the loudest and biggest bang, 2009. Steel shelves, 95 x 33 x 15 inches. 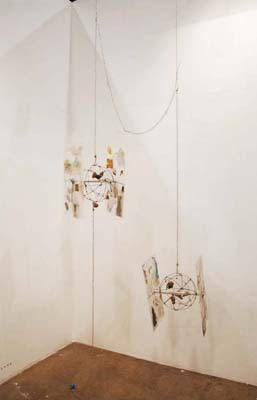 Eamon Ore-Giron, OJO Refix, 2008. Cut record sleeves, 30 x 24 inches. 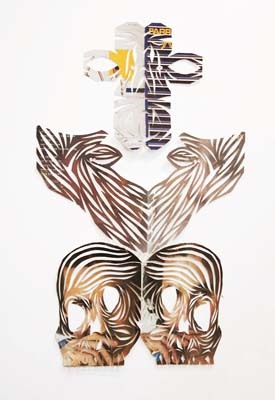 Miguel Monroy, Planchas Rival, 2009. 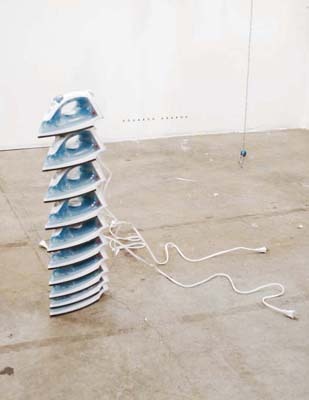 Ten irons, 28 x 10 x 4 inches. 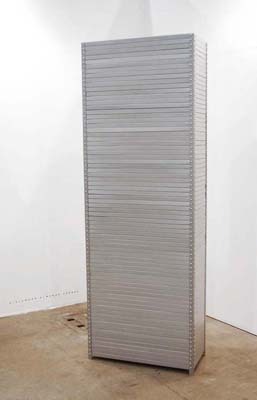 Julio Cesar Morales, Undocumented Interventions #14 & #12, 2009. Watercolor and ink on paper, 14 x 11 inches each. Eduardo Abaroa The Third World Loves Star Wars, Too, 2009. 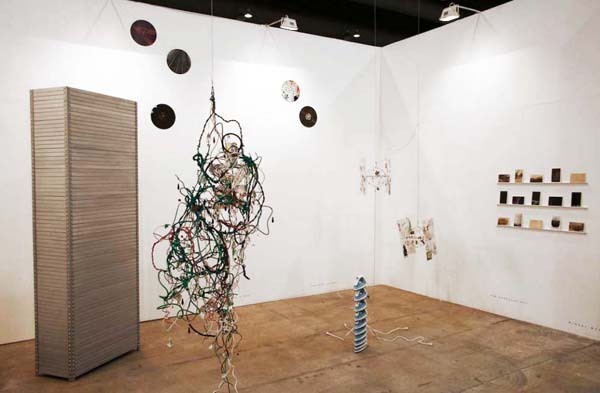 Steel wire, laminated plastic, hot glue, collage, galvanized steel chain, miniature globes, dimensions variable. 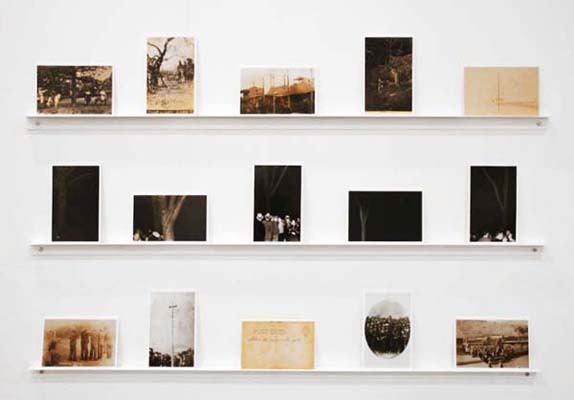 Ken Gonzales-Day, Erased Postcards 2002-6. Ektachrome print (Set of 15 images), Edition 4 of 6 (plus 2 APs), 6 x 3 3/4 inches each.